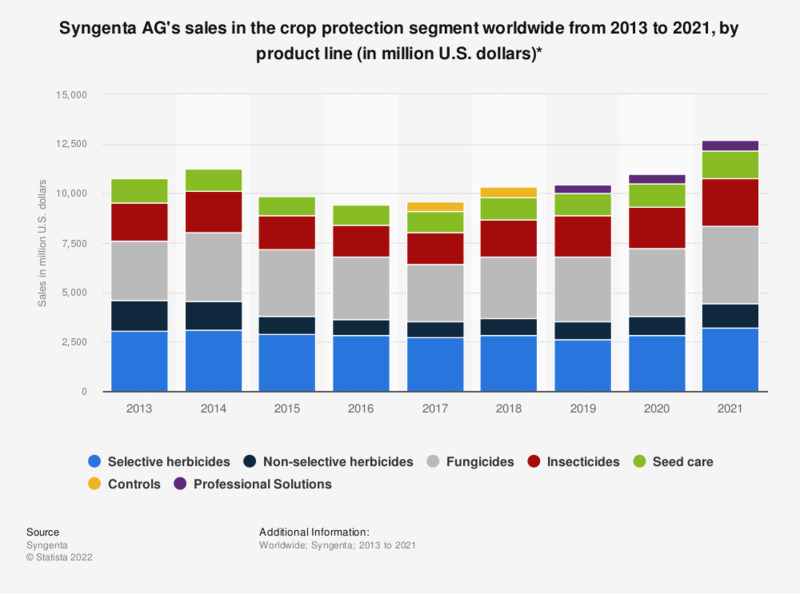 This statistic shows Syngenta AG's sales in the crop protection segment worldwide from 2011 to 2018, by product category. In 2018, the Swiss-based company generated sales of about 2.82 billion U.S. dollars with selective herbicides in the crop protection segment. * Includes sales of Crop Protection products to Seeds and excludes non-product line sales.